Laughter Has How Many Benefits? Not Feeling Well? Start Laughing! The Bible is more up-to-date than the morning newspaper. Take, for example, the matter of laughter. Solomon said in the book of Proverbs, “A merry heart maketh a cheerful countenance:” (15:13), “. . .he that is of a merry heart hath a continual feast” (15:15), and “A merry heart doeth good like a medicine: but a broken spirit drieth the bones.” (17:22) Though written nearly 2000 years ago, recent research has proven how scientifically accurate these statements are. 1. Laughter reduces certain stress hormones that suppress the immune system and raise the blood pressure. It also enhances our immune system by increasing the production of white blood cells. 2. It not only lowers blood pressure but also increases blood flow through the body thus providing increased quantities of oxygen to the cells. This aids in clearer thinking and faster healing to name just two. 3. Laughter causes the body to produce more immunoglobulin A in the saliva. This is vital in killing off pathogens that enter through the respiratory system. 4. Guess what? It’s also good exercise! Laughter involves the contraction of 15 facial muscles and the rapid repetition of short vowel sounds (repeated every 210 milliseconds). One estimate is that 100 good laughs equal 15 minutes of workout on an exercise bike, and it’s much more fun! 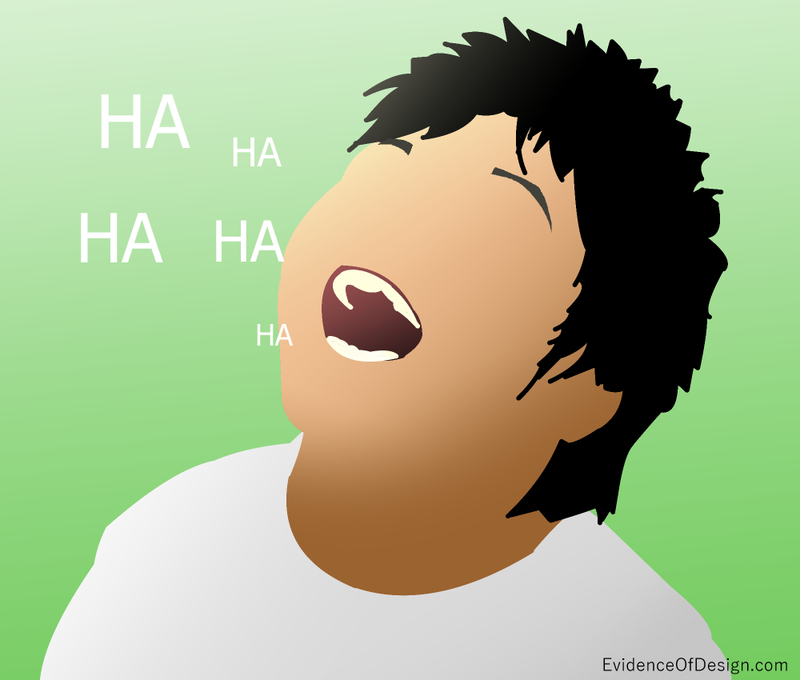 Laughter exercises muscles in the back, legs, face, respiratory system, abdomen, and diaphragm. This is why we can feel tired after laughing through a comedy. 5. Laughter provides mental health. No, I’m serious! It reduces the destructive presence of anger, frustration, or even bitterness. A good laugh can help someone think more clearly. Dr. Hunter Campbell “Patch” Adams, founder of the Gesundheit! Institute in 1972, has invested his award-winning career in medicine based on this principle. His book is entitled, Gesundheit: Good Health is a Laughing Matter (1998). To prove he was serious about the medicinal value of laughter, he and his wife named their sons Atomic Zagnut Adams and Lars Zig Edquist Adams. “Each year he organizes a group of volunteers from around the world to travel to various countries where they dress as clowns, to bring hope and joy to orphans, patients, and other people.” (Wiki) Laughter is so important that laughter clubs are formed in various parts of the world. However, to follow the above formula to force a laugh does little to benefit the body. In fact, Proverbs again says, “Even in laughter the heart is sorrowful; and the end of that mirth is heaviness.” (14:13) In other words, we can still be sad, even when we are laughing. The most beneficial, healthy laughter comes from a heart of genuine joy because that person is at peace with God through Jesus Christ. I agree with this article. Thank you for the reminder.